Manifolds are required for mounting metering cartridges. 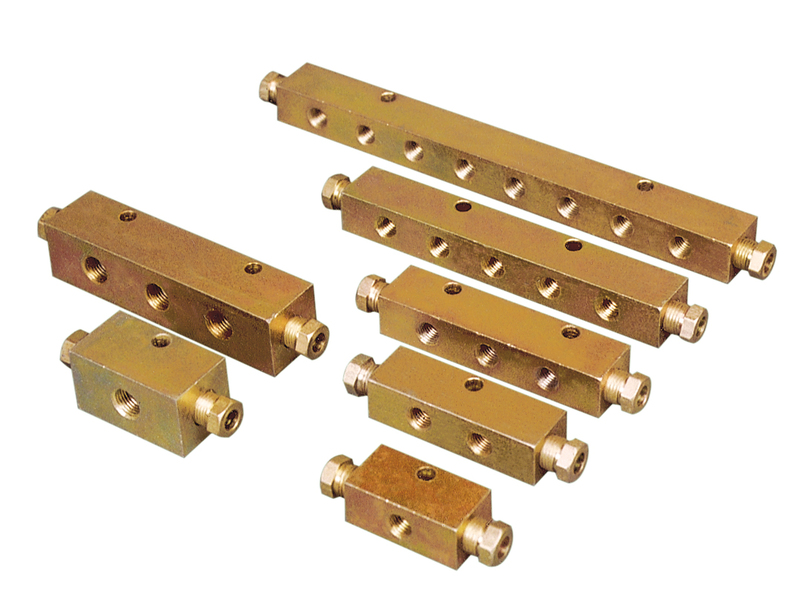 Manifolds are zinc plated steel blocks with two inline ports,normally suitable for 6 mm OD tubes and no. of side outlets with thread size M8x1 or M10x1. Type of manifolds is selected depending upon model and no. of metering cartridges to be fitted. A manifold shall cater all the lubrication points lying in the same vicinity.